The strength of the Climate Emergency Declaration movement lies in the many individuals and groups taking initiative and working together – or separately, or both – to achieve the campaign goal. – all levels of government, all walks of life, and you. 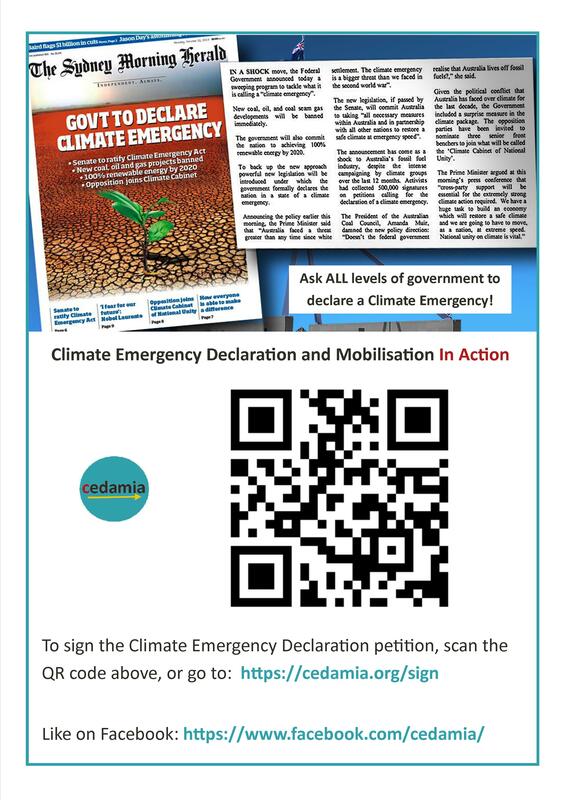 EVERYONE can do something to help build the public demand for a Climate Emergency Declaration and Mobilisation. 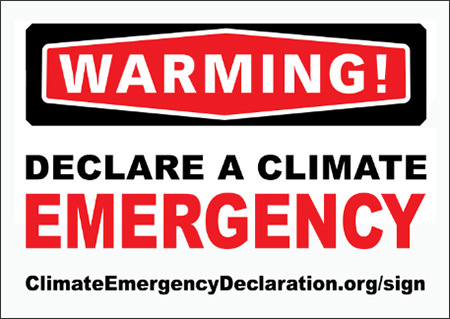 If you can only do one thing, please make it this: erase ‘climate change’ and global warming’ from your vocabulary and say ‘climate emergency’ instead! Please scroll through the sections below to find actions that appeal to you. Download and print the Statement of Support and ask your local federal and state MPs to sign it. Take a photo for us to display on Facebook and here (federal MPs) or here (state MPs) on this website, then email it to us. Download and print the Statement of Support and ask your local Mayor and/or Councillors to sign it. Take a photo for us to display on Facebook and here on this website, then email it to us. Please visit the cedamia Facebook page or Twitter page and share or retweet any posts or tweets that you like. See the Promote on Social Media page for more auto-share links. If you’ve not done so already, please scroll down to the actions data questions at the bottom of the petition page and help build up data showing how many people are taking actions to reduce household and personal greenhouse gas emissions. You can collect hard copy petition signatures anywhere that people gather – events, markets, workplace, even in the street. 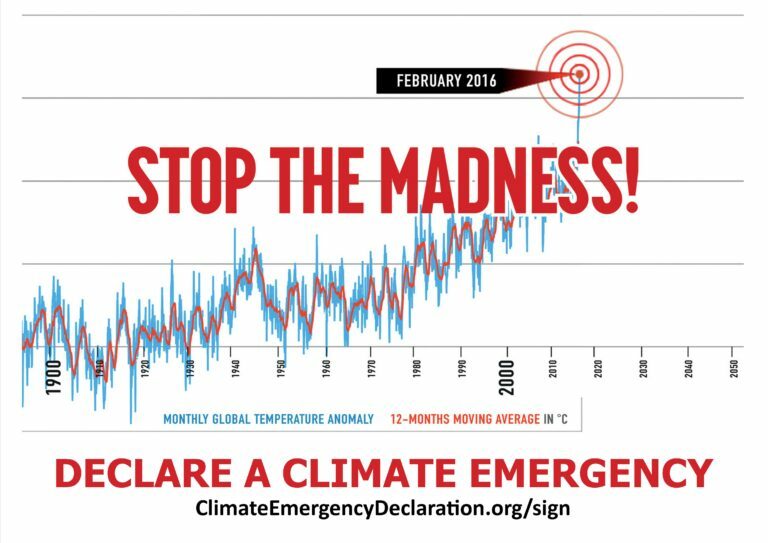 Every time you ask someone to sign the petition, you are making the concept of a Climate Emergency Declaration familiar to them. You are helping it to become ‘a thing’. A lot of people might never have thought that such a solution is possible, but once they realise it is they can start talking about it too. When you have collected some signatures, please email us a scan or photo of each sheet and tell us where and when they were collected. Petitions, PO Box 884, Modbury, SA 5092. Please include a note saying when and where the signatures were collected. You can also give people the option of using their phones to sign the petition online using the QR code in a poster, or even just have an iPad with the online petition page open ready for people to sign online. 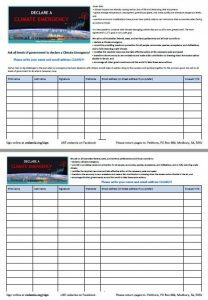 See the state/territory campaign page to download hardcopy sheets for the petition asking the SA Government to ban all new climate-damaging projects, such as all new coal, oil, and gas projects. 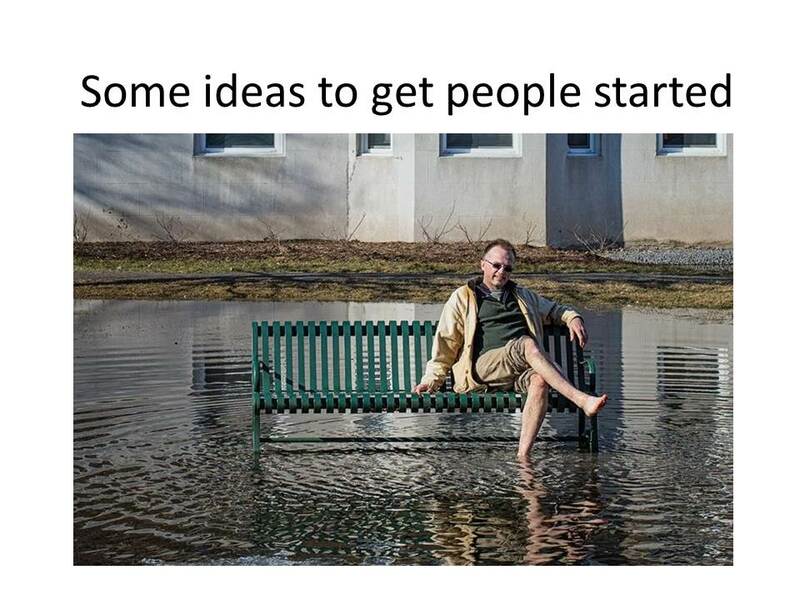 We want Councillors at every single local council in Australia to receive a visit and have a conversation with local Climate Emergency Declaration campaigners. But first please take a look at the Local Government page to see what is already happening, and see the Councillors and Candidates page for the Mayors and Councillors who already support the Climate Emergency Declaration campaign. We’ve set up a spreadsheet covering all regions or Australia with the view to finding at least one person to visit each local council. Please let us know how you go so that we can map progress on building local government support for a Climate Emergency Declaration. 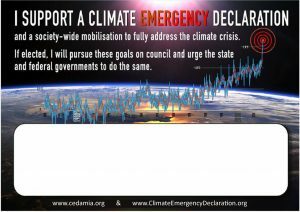 The ultimate aim is a national declaration of Climate Emergency with its ability to unlock all the required policy changes and funds for a rapid climate emergency response, but local councils can start the ball rolling by demonstrating successful climate emergency initiatives at the local level. Early successes in their own local community can then spread outwards to other local council areas and upwards to the state/territory and federal levels. 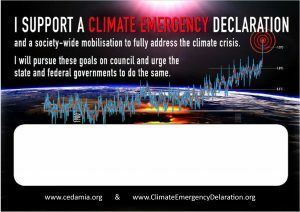 For an in-depth discussion of the local government campaign, initially in the Darebin Council area but spreading to other areas, see the Community Action in the Climate Emergency (CACE) website. You know your own local council and Councillors, so you are in the best position to decide what to talk about, but the ideas below might help you plan your conversations. Listen to Darebin Councillor Trent McCarthy giving inspiration and great tips for getting your local council on side. – Tell them about the actions taken so far by the Darebin City Council. See the Local Government page for details. – Explain the campaign vision and the amount of support generated so far (number of signatures, support from eminent people including other councillors and mayors, etc.) See the Supporters page for examples. – Talk about the actions being taken by the Darebin City Council. See the Local Government page for details. 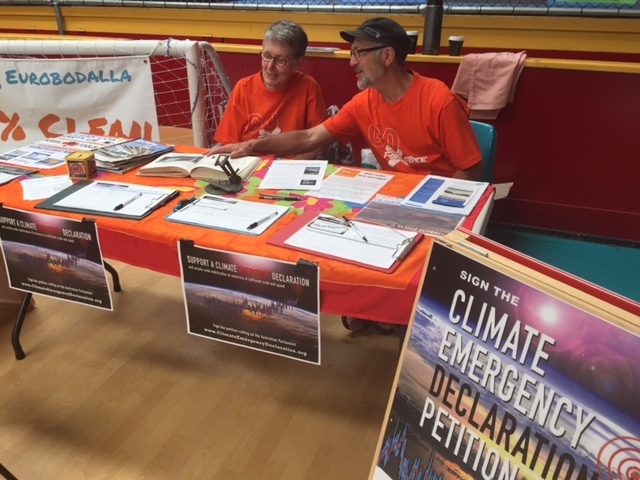 – Talk about the amount of support generated so far for the Climate Emergency Declaration campaign (number of signatures, support from eminent people including other councillors and mayors, etc.) See the Supporters page for examples. – Download, print, and take along the Council Candidate Statement of Support below. Ask them to sign it, take a photo of them holding it up, and email us the photo for inclusion on our website and in social media posts. Note: See the NMBI Actions Kit for actions specific to the No More Bad Investments (NMBI) campaign which specifically targets state/territory governments. 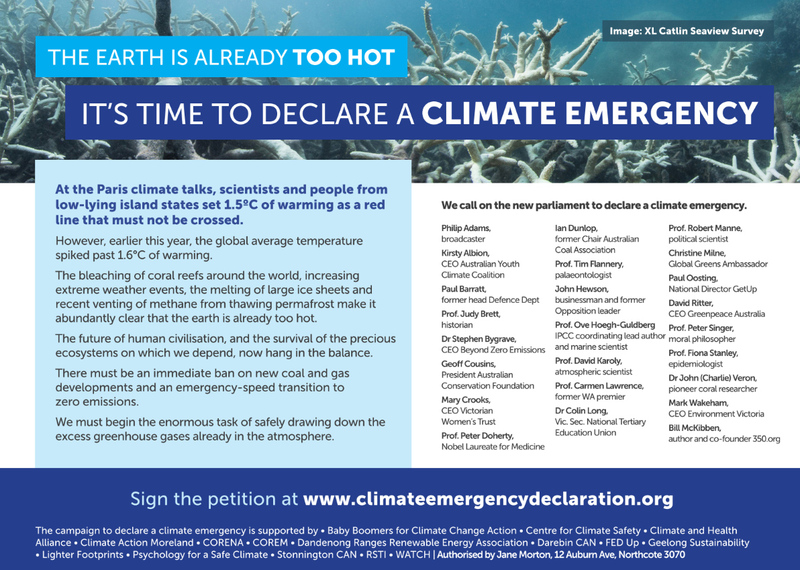 It’s vital that every state and federal MP is aware of and can consider supporting the call for a Climate Emergency Declaration. Ideally they will hear about it via a visit from a local resident or climate group. We’ve set up a spreadsheet covering all regions or Australia with the view to finding at least one person for each slot. Please let us know who you visit and the outcome so we can map our progress. Please email us and tell us the name(s) and electorate(s) of the MPs you will be visiting, and your snail mail address. If they haven’t yet received copies of three Breakthrough publications (Climate Reality Check, Striking Targets, and Recount), we will organise for these to be sent to you – one set for each MP you plan to visit. Ring the MP’s electorate office and ask for an appointment to meet with your MP. Before your visit, you might like to visit the How Does Your MP Vote? site to check their past voting behaviour, but we’d like all MPs to hear about our campaign regardless of their current position. Give them the Breakthrough publications, and also show them any other supporting materials that you think might influence them. For example, you could download and print a copy of the Open Letter below that was signed by 24 eminent Australians. Also click on the image below to download the Statement of Support sheet. Take it along and ask them to sign. If they agree, please take a photo of them holding up the signed sheet, and email us the photo so we can post it on social media and on our website. 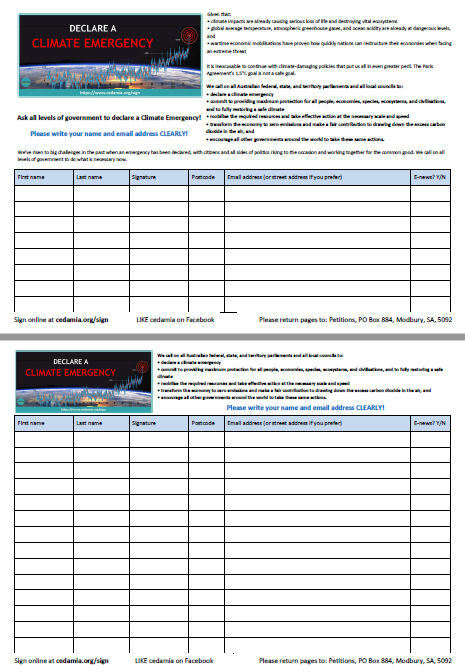 Have a look at Philip Sutton’s Model Climate Emergency Act. You might like to mention this if your MP raises the issue of how a climate emergency declaration and mobilisation could be implemented. An electronic copy of the latest version of this Model Act is available from RSTI at Model Act. You could take along a copy if you wish, or just send your MP the link as a follow up after your meeting if you’ve discussed it with your MP. 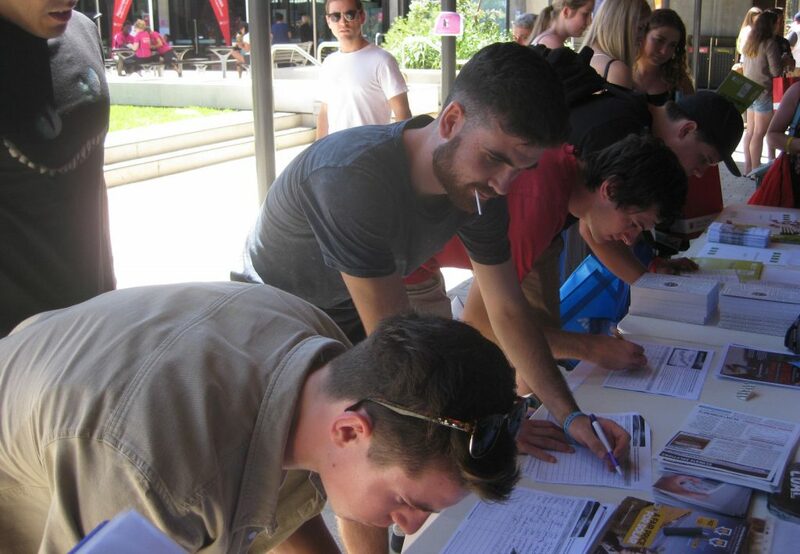 It’s often possible to have an info table at festivals, markets, marches, and public events. Just ask the organisers if you can. › Download the hard copy petition sheets and collect signatures as described above in the Collect hard copy petition signatures section. › The Resources page has flyers and posters available to download and print. › Look through the workshop powerpoint presentations here for useful infographics to print and display. › If you have them, take along the Breakthrough publications Climate Reality Check, Striking Targets, and Recount. You can download electronic copies of the three publications from the Breakthrough website. › Have a look at Philip Sutton’s Model Climate Emergency Act. You could print this out and have it is a resource at your info stall in case any of the people you talk to want to know that degree of detail. An electronic copy of the latest version of this Model Act can be downloaded here. Download Miriam Robinson’s the Action Plan as a pdf file . You might also like to look at some of the videos of presentations at the workshop held in Melbourne in September 2016 and pick out any parts you think will be useful for your audience. The letters to the editor pages of the daily newspaper or weekly papers in your neighbourhood or region are a key platform for citizens to present their views and tell their side of the story. The letter-writing tips below are courtesy of the highly successful Yes2Renewables campaign in Victoria. The letters to the editor pages are a barometer for the public’s view on a topic. Newspaper editors use it to understand the views of their readership and this feedback may influence the way the publication reports an issue. Politicians may pay close attention to the letters to the editor pages, especially if they are named. For a politician, each letter represents a view shared by hundreds of constituents. Brevity is power. Keep your letter to three to five sentences. Keep you letter focused on making one key point. Name drop. Get on the radar of politicians by naming them. Send in your letter by 12pm (the earlier the better). A good letter to the editor will identify a villain, victims, a heroine, and an on-the-fence character that needs to be influenced. “The fossil fuel lobby’s (villain) blaming renewable energy as the cause of the recent power spike is untrue and exaggerated. The claims of coal and gas companies reveal they’re prepared to sacrifice jobs, investment in regional communities, and our climate (victims) for their own vested interest. Note: Newspapers expect that any letters to the editor that you send to them are sent exclusively to them. A good way to increase the chance of your letter being published is to relate it to an article or letter from someone else published in their paper that morning. Newspapers generally require that you include your full name, address and phone numbers below the letter. Australian Financial Review: Email to edletters@afr.com.au – max 250 words. Apart from your name and email address you must include the following details in your email: Phone Number (both day and night time) and address. If you have other addresses, please let us know! 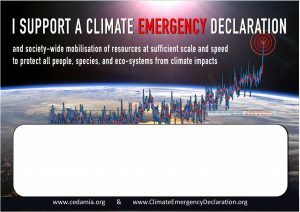 Your group might like to launch your own Climate Emergency Declaration petition as part of the petitionSTORM. It could be addressed to either the federal parliament, your own state parliament, your local council, or to all three levels of government. 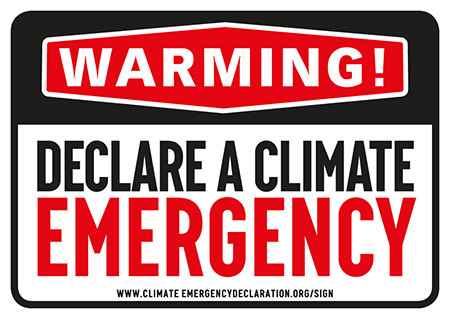 To be part of the petitionSTORM, your petition needs to share the same top-level climate emergency declaration ask as the existing petitions, but the body of your petition can reflect the focus and preferred messaging of your group. It’s much like a climate march, where different groups march together for a common top-level ask of climate action despite having different concerns and messages. 3. We need the government to follow through with the necessary resources and action to fully address the crisis at emergency speed. If you are launching your own petition, please let us know so we can plan joint delivery as a petitionSTORM as soon as the overall number of signatures is high enough. Or, if you like the existing petition to all levels of government here, that one can be embedded in your group’s website, if you wish, either with or without the surrounding context. It has a centralised Google Drive mechanism that automatically takes care of recording signatures and updating counters at all sites where it is embedded. Email us if you would like the WordPress code for embedding the petition on your own website. We call on the [state or territory] Parliament to declare a climate emergency and mobilise state resources accordingly. In February 2016, average global temperatures topped 1.5°C, and scientists tell us another 0.5°C of warming is already ‘in the system’ unless we can also draw down excess carbon dioxide currently in the atmosphere. Climate impacts are already dangerous. People are dying from heat stroke, starvation, and extreme weather events. Wild fires are increasing, permafrost is thawing, low lying land is being inundated by seawater, and coral reefs, mangroves, kelp forests, and other ecosystems are being severely damaged. In particular, we call on Parliament to ban any further public or private investment in projects that will make the climate emergency worse, such as coal, oil, and gas projects. Instead, Parliament should facilitate investment in beneficial projects such as renewable energy, electric vehicles, energy efficiency, reforestation, and climate-friendly land use, and phase out existing sources of greenhouse gas emissions. Any essential processes and practices that cannot be made to avoid greenhouse gas emissions entirely should be offset by draw down projects. Projects that draw down excess carbon dioxide already in the atmosphere should also be implemented. We also ask the [state or territory] Parliament to urge the federal government to declare a climate emergency and mobilise resources accordingly to restore a safe climate as rapidly as possible. This page is a work in progress, in collaboration with Carol Ride (Psychology for a Safe Climate) and others. Please email info@cedamia.org to suggest changes or additions. People are great at rising to the occasion in an emergency. If you happen to be there when a fire or flood occurs, chances are you’ll pitch in alongside emergency service workers to do whatever is needed. Neighbours help neighbours, and strangers help strangers. We are now in the biggest emergency ever – the climate emergency. Already people are dying and ecosystems are being destroyed. We know what needs to be achieved – right now – and we already have the technology to do it. We must face up to climate facts, go into emergency mode, and throw everything we’ve got at restoring a safe climate. We know from our experience of full-scale wartime mobilisations that amazing economic transformations can be achieved in just a few years when we face an existential threat. Let’s demand equally strong leadership and action from our peacetime government in order to protect everything we love. Join us in petitioning the Australian Parliament to declare a climate emergency and mobilise society-wide resources at sufficient scale and speed to protect civilisation, the economy, people, species, and ecosystems.